Please see the before & after photos in video format. Im sorry but the slide show seems to have problem. Please visit our Facebook page for more photos. leaf spring assisters. Diagram for new Spring assister kit. If your Vehicle is not listed on this site we might not have your kit in stock or we dont have the data. 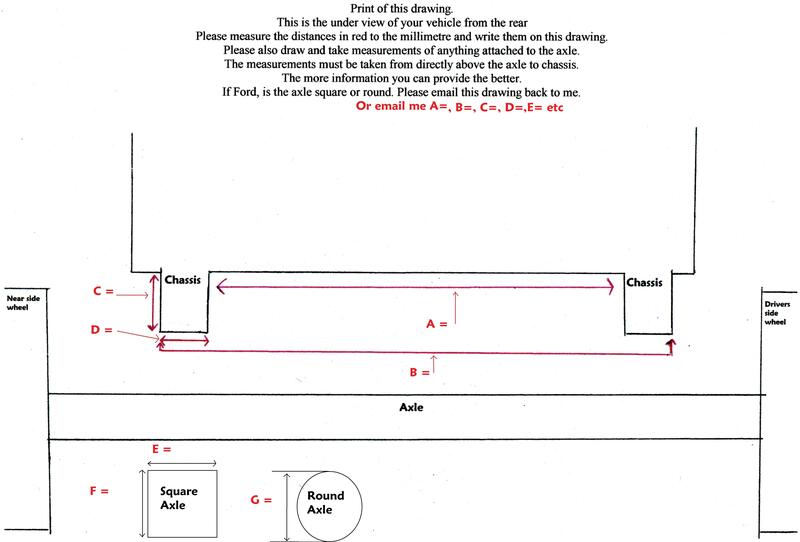 Please download the file above, which is a diagram of the underneath of your vehicle. Please email the data & photos to us and we can custom make a spring assister kit for you. Please click on the "contact us" page for our address.